HTC Action Screen - Access your phones main features with just one finger tap on the screen. 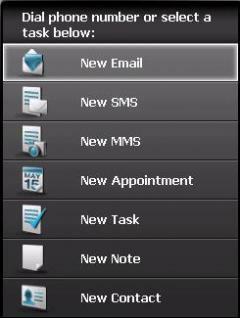 New SMS, New Task, New Appointment etc. are now easy to access with the new HTC Action. You can assign this little application to one of your hardware keys and have all those options on one click.